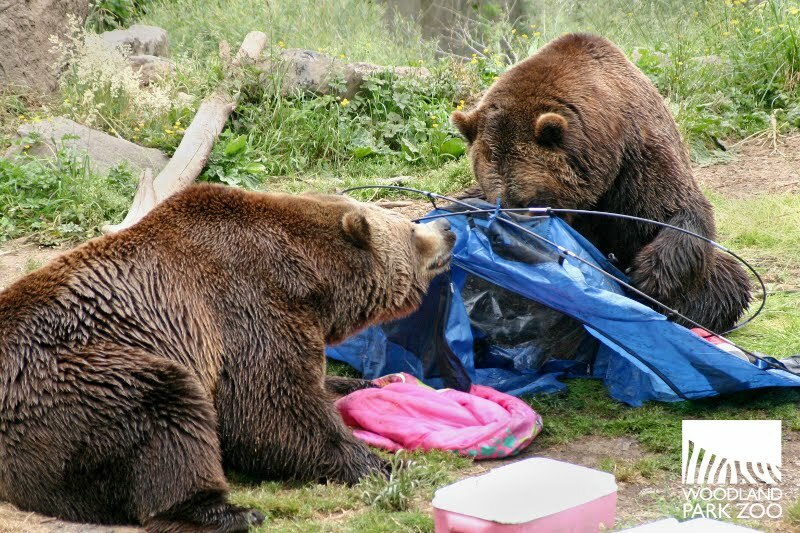 Join one of Woodland Park Zoo’s Partners for Wildlife, Chris Morgan of the Grizzly Bear Outreach Project-GBOP, as he takes us on a motorcycle odyssey and gets up close and personal with the bears of Alaska in the PBS Nature special Bears of the Last Frontier. 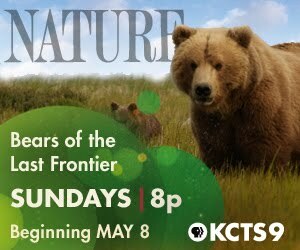 The special three-part series premieres on three consecutive Sundays, beginning May 8, 2011 at 8 p.m. on KCTS 9 (check PBS Nature for other local listings). The program spotlights adventurer and bear ecologist Chris Morgan on a year-long, 3,000-mile exploration into bear country across the length of five dramatically diverse Alaskan ecosystems: coastal, urban, mountain, tundra and pack ice. You’ll have a chance to meet Chris when he joins us for the zoo’s annual Bear Affair & Big Howl for Wolves on Saturday, June 4. The awareness event will highlight a couple of presentations by Chris as our grizzly bears tear through a mock-up campsite and backyard in their exhibit. Chris also will be on hand to sign his companion book to the series, Bears of the Last Frontier, which will be available for purchase at our ZooStores. Chris Morgan is the co-founder of GBOP, a Partner for Wildlife of Woodland Park Zoo. Our Partners for Wildlife programs represent our growing impact in field conservation beyond zoo grounds and around the world. 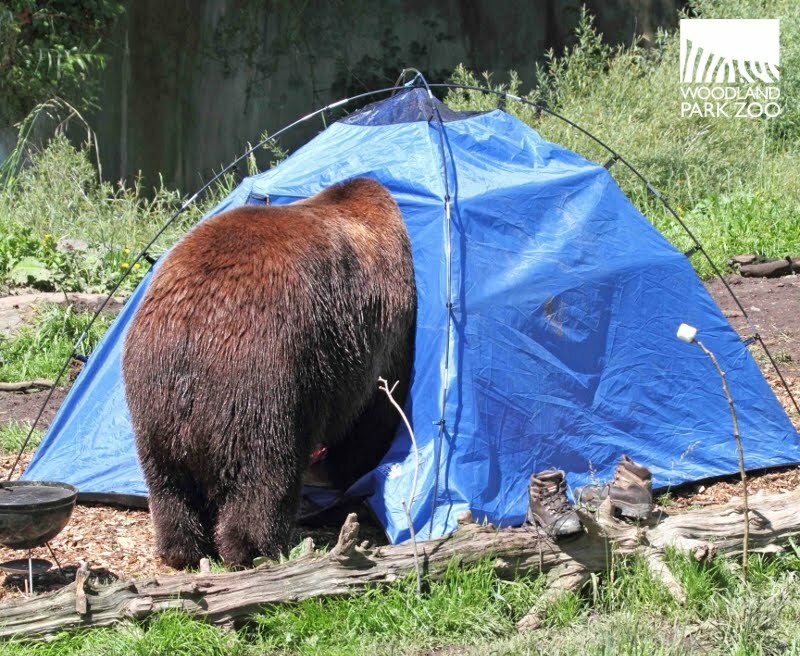 We’re excited to continue supporting the critical work of Chris and GBOP’s successful approach to community-based outreach and education to help mitigate conflict between humans and grizzlies and black bears in our backyard. Photos from top: Bears of the Last Frontier banner courtesy PBS.org, Bear tracks photo from the Bear Blog with Chris Morgan originally appearing on PBS.org, Bear Affair photos by Dennis Dow/Woodland Park Zoo. Video preview courtesy PBS.org.